Oh my goodness! I am exhausted just reading that! You poor thing. There’s no point me saying they will grow out of it…. I remember my son, the youngest of two older sisters, frequently had tantrums in shops, – he would hold his breath and turn blue while lying on his back, plank-like, in the freezer aisle in Waitrose….. my girls of course, were little angels…..
Bless you Laura, you’re the sweetest. It’s hard for us all isn’t it, anyone who says otherwise is very lucky. The breastfeeding one while placating a kid having a tantrum is horrendous, I only fed my second for 3 months because of that very reason. Jelly mode is as bad as planking isn’t it. Renders them completely immobile. Nightmare stuff. 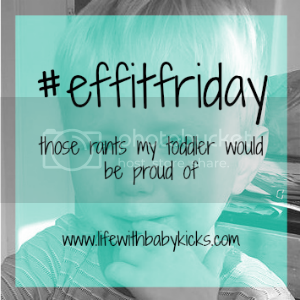 Tantrums are awful and mine like to take it in turns too! Keep your gin stocked up for the evenings and grin and bear any T’s in the days. Tantrums are over the craziest things like the other week when we were amidst a heatwave, my son begged me to make it snow, and had a little thrash in Tesco carpark. I had to laugh it was so insane. My best advice would be to ignore it! When they get all silly, just pop the kettle on, cut yourself some cake and ignore it until it’s over. My sons tantrums are over quite quickly when I give it no attention. Fingers crossed for a lovely summer still! That’s such a lovely comment. Thanks lovely. I’ll deffo stock the gin up a bit more and take your advice on the cake…any excuse for cake. I couldn’t help but laugh about the making it snow tantrum!!! Oh crikey! There really wasn’t much you could do about that one was there! You Baby Me Mummy recently posted…Camp Bestival – The perfect family holiday?